Daniel Blackburn’s best-selling book, “Human Harvest: The Sacramento Murder Story,” has been republished in ebook (Kindle) version by Garrett County Press of New Orleans. Blackburn is co-founder and senior correspondent for CalCoastNews. “Human Harvest” tells the story of Dorothea Montalvo Puente, whose residential home became the epicenter of the Capital City’s most infamous horror story, through the unique perspective of the reporter who knew her best. The book was a Book-of-the-Month selection upon its publication in hardcover and paperback, and has been updated periodically to encompass the long-running epilogue to her murder conviction. Puente’s conversations with Blackburn immediately after her arrest, and following her trial, help shed light on her homicidal actions. She went to her grave in March 2011 without ever admitting guilt. The landlady specialized in providing room and board for Social Security recipients, nine of whom mysteriously disappeared. Bodies of seven were eventually found buried in the small, well-manicured yard of her downtown Victorian home. 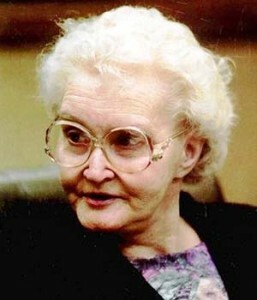 Puente was eventually convicted of three murders and spent the rest of her life in prison. Blackburn’s Kindle-version book incorporates the convoluted 13-year effort by Congress to correct language in Social Security law which had allowed Puente to kill with near impunity. The author also details how Puente’s attorneys tried aggressively but unsuccessfully to integrate “Human Harvest” into their defense strategy. Did lack of oversight lead to jail deaths? Curious …were there any psych evals on Ms. Puente ? If so, what did they conclude ? Her personal psychiatrist, Dr. Thomas Doody, once described Dorothea as a “seriously disturbed woman.” Several specialists, including a psychologist familiar with criminal behavior, suggested in official reports that Dorothea exhibited schizophrenia dominated by histrionic, narcissistic, and antisocial personality disorders. Her actions during the past thirty years, particularly those of her last few days of freedom, indicate the doctors may be right. According to many criminal psychologists, personality disorders differ significantly from most psychological disorders, the latter generally being traceable to one (or a few) specific incidents in one’s life. Personality disorders, on the other hand, involve an identifiable pattern of lifelong development that permeates both behavior and thought. This in turn colors an individual’s whole sense of being, self-image, and internal rules for dealing with fellow human beings. A person thus afflicted has a completely distorted view, both of self and society. Dr. Lunde notes that “some psychotic conditions have a known organic cause.” One such condition is hyperthyroidism, and Dorothea is known to suffer from, and has been treated for, thyroid problems. Some of Dorothea’s more visible affectations were her preference for bright, boldly colored clothing; her abundance of flashy (but real) jewelry; and her tendency toward grandiose descriptions of herself and her activities. A person displaying elements of histrionic personality disorders tends to be overly dramatic and excitable, exaggerating almost everything and insisting upon being center stage. Many more women than men are diagnosed as having this disorder. Easily provoked to sudden fits of temper, histrionic people form friendships quickly but soon begin to make unrealistic demands on others. Dorothea’s narcissistic tendencies were manifested in her flamboyant behavior (buying drinks for everyone in the bar with a fat wad of cash), her constant exaggerations (claiming to be a surgeon or nurse), and her overwhelming concern about how she was perceived by others. The narcissist’s concern for him- or herself all but eliminates the capacity to feel any emotion for people. For this reason, it is possible that the apparent empathy Dorothea showed for certain tenants, such as John Sharp and Bert Montoya, was feigned. Dorothea’s antisocial behavior was evident from the time she was nineteen years old. That was when she was first arrested and convicted of forgery, an activity she not only continued throughout her lifetime, but accelerated. In most aspects of life, criminal psychologists contend, antisocial people are amoral, often flagrantly violating the rights of others and usually breaking the law. These people will admit to no culpability when caught in their transgressions, as they inevitably are. They are completely incapable of feeling guilty. They find it easy to concoct complex schemes but always lose control of those schemes. They minimize their errors, are incapable of learning from past mistakes, and have great trouble forming personal attachments. Over years of psychoanalysis, Dorothea has made a habit of minimizing her transgressions, and once told a police officer who was arresting her that she often forgot committing the criminal acts of which she was accused. Individuals afflicted with personality disorders may lead outwardly normal lives, and become the last to admit that they might need professional treatment. Because antisocial behavior so often involves criminal activity, it is the most studied personality disorder. An outdated term for an antisocial criminal, psychopath, has been supplanted by the term preferred in modern analysis, sociopath. If the actions of a sociopath are reinforced during his or her life (resulting, for example, in financial success), the behavior dominates. Her repeated forays into the board-and-care business reflect a taste for risk that was satisfied by undertaking bold actions she knew were forbidden to her. She flaunted her behavior in front of her own parole agents, perhaps daring them to catch her. With multiple disorders, she may have been Obsessive Compulsive Personality Disorder… a true sociopath. I know from personal experience in dealing with one of these monsters ( thankfully away from now ). Outwardly, they can be quite engaging and popular, and more than a few can be looked at as successful. It’s all about Them, and you find that even when they do something ‘nice’ for someone else, that they always hold a receipt or expect some form of payback. Cross them in any way, or not meet up with their inflated sense of expectations, vanity, and ego; they’ll turn on you like a rattlesnake. I don’t think words can describe her. If she was simply sociopathic, I think she was at the high end of the spectrum. I read the book when it first came out, and anyone who is a true-crime junky will love this book. I was able to download it to my Kindle without a problem…but it is nice they are offering it in a Kindle form because some of the older versions may not be as flexible as the newer versions. Dan included many, many official reports and other info at the end of the book. Really incredible documentation. Sounds interesting. Like to read more about the 13 year effort on congress’ part to change the language in SS laws.